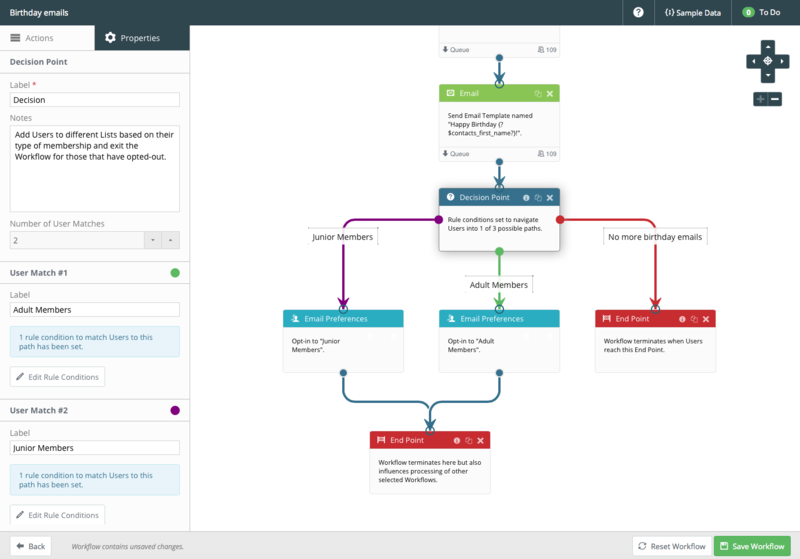 We know, from our recent look at what workflows are and how they work, that workflows can be brilliant, time-saving tools that work to improve lead nurturing and accelerate conversions. But setting up workflows can be difficult. You need to decide who to target and when, and also work out how many workflows you need. Another difficulty is measuring how well your workflows are performing, and where (if any) there are opportunities for improvement. Before you can measure the success of your workflows, you first need to define exactly what you want the workflow to do. Do you want it to nurture new customers? Capture the attention of dormant customers? Once you can define what you want each workflow to do, then you can measure how effective they have been and improve if needed. Below, we have put together a list of 4 metrics you can measure, which will hopefully improve your workflows for email marketing success. There are four main aspects of a workflows performance that can be measured for effectiveness. All of these can be measured within your Instiller dashboard. The first is deliverability. If your emails aren’t reaching your recipients’ inboxes, then the success of your workflows will be 0. Deliverability is such an important metric to keep track of because if your emails are bouncing then this could affect your credibility as a sender. To improve the success of your deliverability rate you can do many things. As a start, try filtering out all inactive users from your list, this will reduce your bounce rate. You should also make sure that your workflows are well paced. Sending out emails too frequently can cause users to delete your emails without reading, or worse, hit the spam button. Speaking of emails that are deleted without reading, the open rate of your emails is also an important metric to measure. If your open rate isn’t performing to the standard you had hoped, or if you just want to improve it further, you can do this by A/B testing the subject lines of your emails. Similarly, if you want to improve your click through rates it is a good idea to test the optimisation of your emails as a whole, trying out different placements and colours for your CTAS. The final performance-related metric you should measure is engagement. It’s important to measure engagement so that you can discover where and when users lose interest. Once you have this information, you can then find ways to improve your workflows to make them more engaging. However, sometimes it’s best just to let go. Studies have found that suppressing anyone in your list who hasn’t engaged with your emails in over a year increases your deliverability rate by 3-5% immediately. Measuring how many recipients are at each stage of your workflow is important for many reasons. This workflow sends users birthday messages on their date of birth. How they react to this email will depend which stage they progress to within the workflow. For example, if a junior user clicks through and makes use of the birthday offer, he/she will be hit with a more targeted email a few weeks later. And if an adult user clicks through he/she will be sent a different email. If a user clicks to opt out, then they will be removed from the workflow. And, if a user has no reaction, they will simply be moved back to the top of the workflow, ready for a new birthday email next year. Obviously, this is just a very specific example of one way recipients can be measured and assessed at each stage of a particular workflow. When it comes to creating your own workflow, the possibilities are endless. Let’s say you have a customer satisfaction workflow that triggers a customer satisfaction survey three days after a lead converts. This is a great idea — but what about your regular customers? If you have customers that frequently buy your product or service, then you don’t want to bombard them with the same email over and over again. This can quickly become annoying. If there’s any group of people that you don’t want to annoy, it’s your most loyal customers. 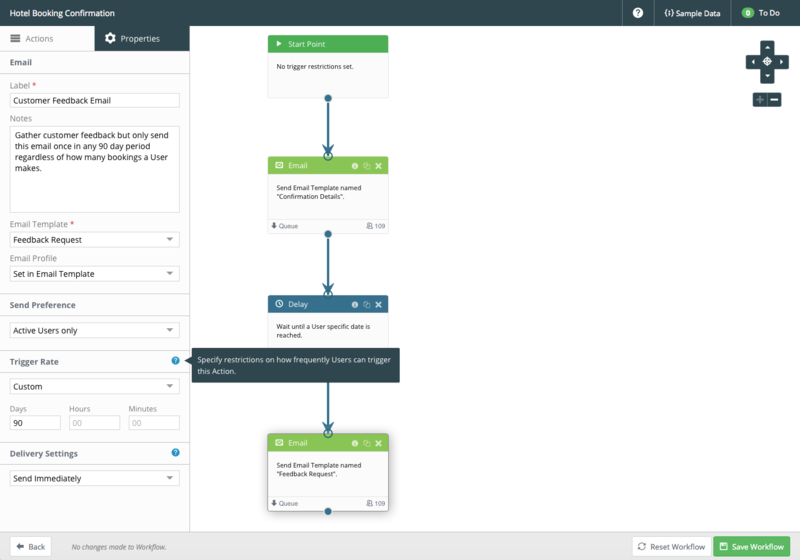 Workflows allow you to measure and change the frequency at which you send emails with ease. This all links back to the point above. By knowing your customers as individuals, you can use automation to treat them as such. Conversions should be measured at every possible chance — after all, conversions are what we’re all working towards, right? To measure your conversion rate, you can set up a specific workflow that sends emails to users after they convert. Such as a ‘thank you‘ email, or an order confirmation — or both! As we said before, the possibilities are endless! It’s easy for us to tell you how to measure the success of your workflows, but all of this advice is useless unless you know how to set up workflows in the first place! Workflows can be tricky, and sometimes difficult to wrap your head around — but not with Instiller. We’ve created a brand new tool called Automation. And it, quite simply, allows you to create workflows with an easy-to-use drag and drop builder. To find out more about Automation, get in touch with us today.